Paris Fashion Week this year came with its own drama. A huge drama and some ‘wow’ moment that’s too juicy to be missed. 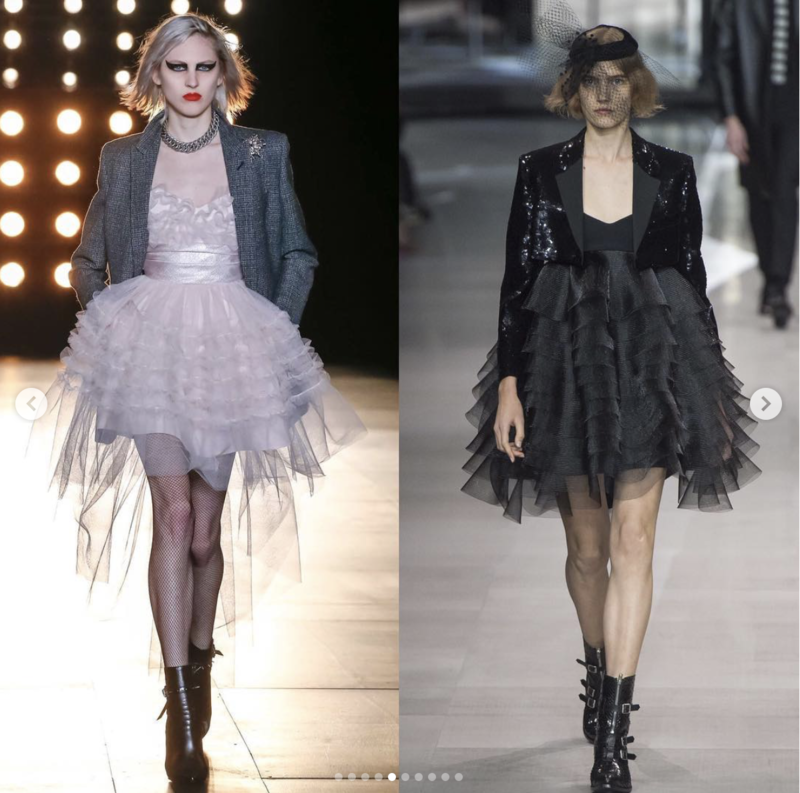 Celine by Hedi Slimane: Is It a Curse or a Blessing? Celine is no new name to the fashion business; founded 73 years ago, it is a brand who’s loved by many people thanks to its distinctive, minimalistic aesthetic style. Some time ago, Celine’s most-loved Creative Director Pheobe Philo announced her leaving the French fashion house and many designers have been known to be interviewed on the job. 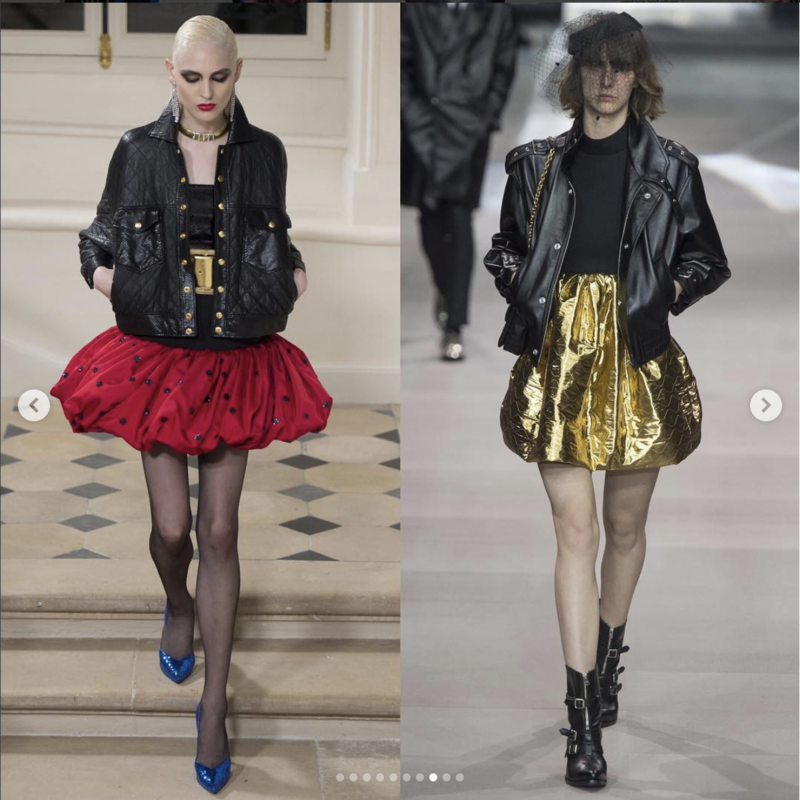 Finally, Hedi Slimane – who have successful past career in Dior Homme and Yves Saint Laurent – is chosen to join the house on February 1. Since then, he had made one of the most crucial movesl he changed the house’s logo from Céline to Celine. Internet and fashion lovers are freaking out about this decision and feel neglected whether they would like it or not. This move result in similar impact like when Hedi decided to cut Yves from Yves Saint Laurent. 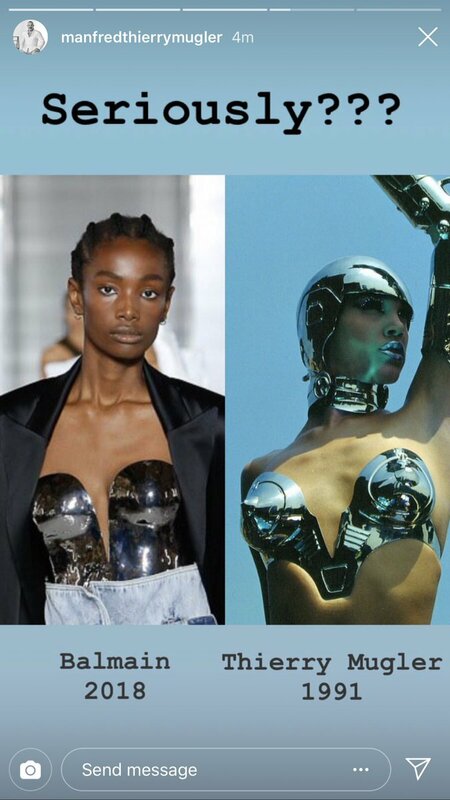 Later on, Hedi got to showcase his finest skill of design in Paris Fashion Week SS19. Well, we can say it’s a train wreck. His design considered outdated, not improving, doesn’t measure to what Pheobe has done for the past decade. Not to mention it looked largely like Saint Laurent, few years back. Every designer has its own major style but somehow Hedi’s doesn’t seem to change and improve. Many of the house’s fans also criticize that Hedi’s creation appears to not empower women with its waif-thin models, who also don’t exactly fit the mold of the traditional Celine shopper. The new Celine, or should we said Saint Laurent 2.0, shifts in direction that was not exactly embraced and kinda miss the mark. Egypt plays a significant part of the visual dialect of postcolonial Parisian architecture. With Rousteing-esque sense of drama the collection also has gleaming beaten metal bodice as a fantasy of Cleopatra Attire, also mummy jeans with wrapped ribbons, draping and distressed muslin. All these beautiful elements and representative , Balmain still got some issues with copyright. 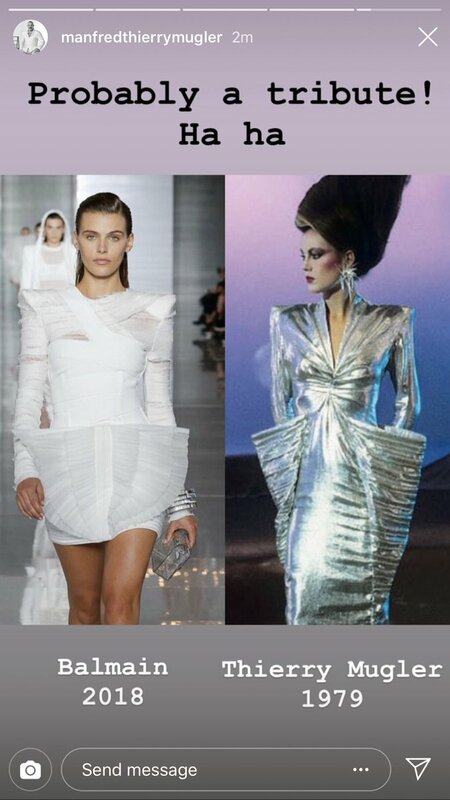 Thierry Mugler himself was known for his futuristic sculpted design and influenced many and when he spotted some of his famous design on Balmain runway, he can’t help but call them out. These are some of the design that Thierry call out Balmain for copying. Honestly we understand Thierry’s wrath about this, seeing your hard work from past time being copied by the exact without mentioning your name is kinda harsh, but maybe this is an honest mistake? #drama.